It is apparently on track to sell 2.6 million units this year. It sounds like things are looking up for Sony’s VR headset after all. 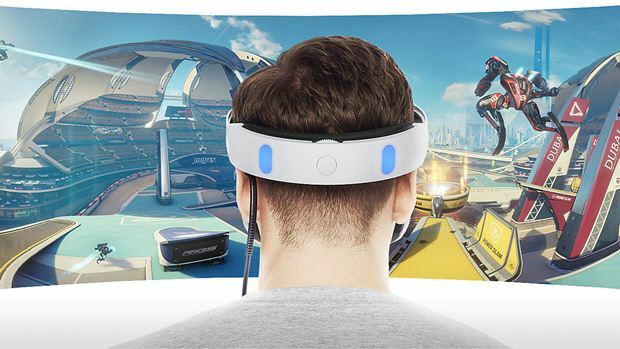 We recently reported how Sony is planning on increasing production for the headset to satisfy demand- now, market research firm SuperData has revealed that according to its projections, the PSVR has sold 375,000 units in the first three months of 2017 worldwide. While that may seem like a low number, SuperData points out that it has outperformed both, the Oculus Rift and the HTC Vive. Not only that, but apparently – somehow, I can’t quite figure out the math here, but I’m not a market analyst, they are – the headset is on track to sell 2.6 million units this year. Just 2.2 million to go! According to SuperData, this may be because Sony is planning on promoting the headset for functionality beyond just games. “Sony has been more vocal about the PSVR being about VR, not games. They are working with companies for commercial applications, even though it is not the obvious first choice. But even the PlayStation is part of a larger effort to bring an entertainment ecosystem into the home – not just gaming experiences. They are going to the same route with the PSVR,” SuperData’s Head of VR/AR Stephanie Llamas told GamesIndustry.biz. Whether or not these numbers end up being met is something that remains to be seen. For the sake of the burgeoning VR field, I hope SuperData is right on the money on this one.